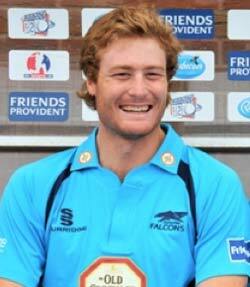 Martin Guptill has ended speculation linking him with Derbyshire for the 2013 Friends Life t20 competition - but he has confirmed ambitions to play for the Club again. The in-form Kiwi ace (left) will jet off to the Caribbean Premier League following the ICC Champions Trophy in England - and a short break back in New Zealand - as the hectic cricketing calendar rules him out of a third stint with Derbyshire in 2013. The 26-year-old has hit the national headlines in recent days following back-to-back centuries in the One Day International series versus England; the second of which was a record breaking 189 in the Kiwis' 86-run victory at the Rose Bowl. Such international heroics came as no surprise to Derbyshire supporters who saw the Kiwi international average upwards of 40 in 16 first-class appearances during the 2012 and 2013 seasons, as well as starring with a succession of powerful performances in the limited-overs arenas. And Derbyshire Head Coach Karl Krikken, (left) who has been in regular contact with Guptill in recent weeks, is confident of seeing the powerful opening batsman in action at the County Ground again. 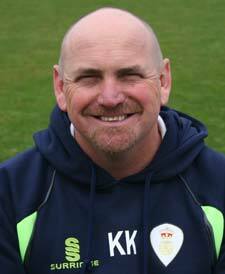 Krikken said: "We made no secret of our ambition to sign Martin as our second overseas player for the Friends Life t20 campaign and - while we are disappointed it won't happen this season - it's great to hear that the player has ambitions to return in the future. "We were delighted to present Martin with his LV= County Championship Division Two winners medal ahead of our tour fixture versus New Zealand earlier this season - a moment he richly deserved for his fine contribution to the success. "The international and domestic Twenty20 schedules around the world can make opportunities limited. But Martin has made it clear that he loves it here, that Derbyshire is his club and that one day he'd love to play for us again. I'm sure I'm joined by everyone connected with the Club in looking forward to the day it happens. "The CPL competition in the West Indies provides Martin with the ideal shop window in which to display his talents with a view to possible future involvement in the lucrative Indian Premier League. Good luck to him for a successful tournament."